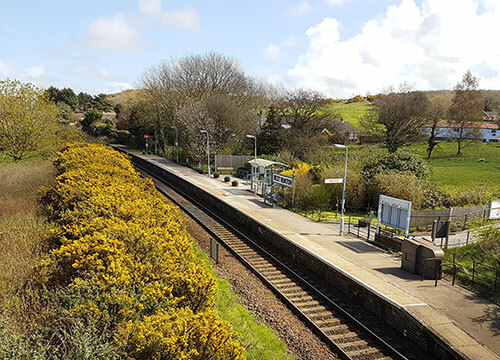 Both accommodation options can be hired separately or together (for a 15% discount) – ideal for larger families, groups and friends holidaying together. Online booking available. Only a minute from the beach! Victoria House is just a one minute walk from the long sandy beach (perfect for children) and you can enjoy a 20 minute stroll along the beach to Cromer Pier. 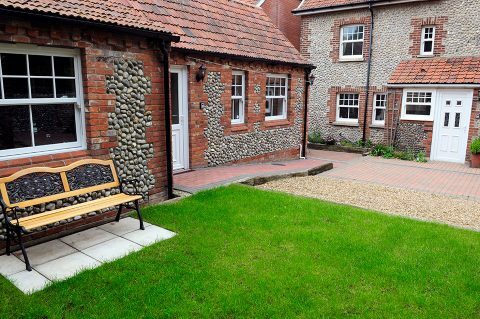 Victoria House is a delightful, traditional brick and knapped flint house, with annexe. 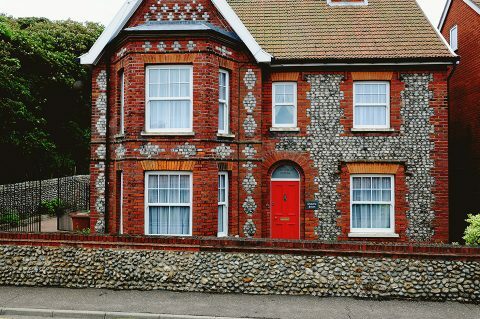 This wonderful flint stone and red brick house was built in 1870 and tastefully refurbished in 2010. At the rear of the house is a rebuilt, self contained Annexe, completed in 2014. A walkers and cyclist’s paradise. 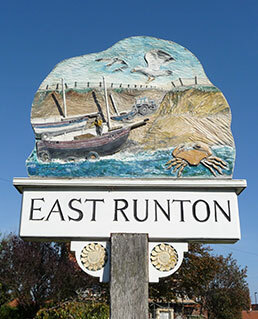 As one of the driest areas in England and with gentle tides, the sandy beaches of East Runton are perfect for swimming and sun bathing. In recent years the beach has also become extremely popular with surfers. This most beautiful part of the north Norfolk coast has been a favourite for the past century, encapsulating a landscape of outstanding natural beauty, with countless nearby hill and woodland walks. It’s certainly one of the most beautiful stretches of the north Norfolk coast. North Norfolk is a treasure for bird watchers. The White Tailed Eagle extinct in England for more than 200 years has been spotted in north Norfolk. Don’t forget your camera! You’ll find many attractions in the area for both young and old to enjoy, including the Cromer and Sheringham carnivals, visiting funfairs and circuses. The 1940s Weekend on the The North Norfolk Railway (Poppy Line) is not to be missed. Within walking distance is a local chippy, bars, bistro’s and restaurants – including the famous Constantia Cottage Restaurant.